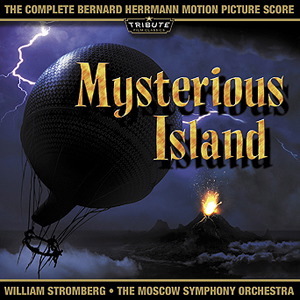 The fifteenth Soundtrack of the Week is the great Tribute Film Classics re-recording of the Mysterious Island score by Bernard Herrmann, my favorite composer of all time. The movie is not one of my favorites, even though I love Ray Harryhausen. Mysterious Island isn't bad, but I'd rather watch one of Harryhausen's Sinbad movies — or just listen to this superb CD. The music is brilliant and beautifully recorded. There's also one bonus track, a re-recording of a cue from Herrmann's King of the Khyber Rifles score. I just found out that yesterday was the anniversary of Herrmann's birth (June 29, 1911).